Once upon a time every school child knew of the man called Andrew Carnegie, ‘the richest man in the world’. When the intent of history education was to indoctrinate kids about kings, presidents, empires and prime ministers, there was always space in school history textbooks for a sidebar homily on Andrew Carnegie, the shining personification of ‘the man made good from humble beginnings’. Poor boy emigrates from Scotland to America. At a tender age and driven by family poverty, the enterprising wee laddie becomes a telegraph operator to support his poor old widowed mother. He succeeds. He manufactures steel in a big way. He becomes the richest man in the world. He becomes a philanthropist. He uses his millions to build libraries around the world. The end. A life begun in a Scottish town before the reign of Queen Victoria and which ended after the First World War and a life which progressed from a muddy alley in Pittsburgh to the salons of Fifth Avenue must have had more complexity than that – and yes it did. How did Carnegie the businessman do what he did to get rich? It leaves him less of a plaster saint but more of a man with recognisable strengths, though much weakness. This narrative of his business career will cease at a time he sells up the conglomerate he created. It is left to others to record his philanthropy, for he undoubtedly achieved much with the money he made. Like many of his contemporaries, including Henry Clay Frick (who features heavily in the Carnegie story) and John D Rockefeller, Carnegie worked in industry sectors that were as near technology’s frontier in their time as fibre optics, satellite communications or nanotechnologies are today. 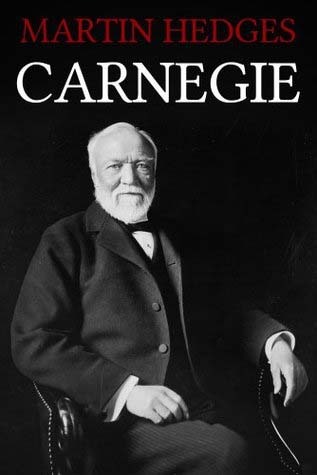 Both Carnegie and Rockefeller were blessed with the fortune of circumstance. For Rockefeller, it was oil when the world needed oil. For Carnegie, in the beginning it was railway speculation and voracious demand for iron – 35,000 miles of new track was laid across America in seven years from 1866 to 1873. When demand shifted to a more durable material than iron for rails, steel was supplied by Carnegie’s ever-more-efficient steel plants at commandingly low prices whatever the prevailing market conditions. In his lifetime Carnegie was for a time perceived as the virtuous benefactor of the working man, but his is a story not without its darker side. Through his own writing (of which there is much), Carnegie the bombast often re-varnishes truth to suit his narrative. What does not get mentioned in his autobiographical material is often telling. Carnegie was no worse than many in his position, but he was perhaps no better. In later life Carnegie was accused of grossest hypocrisy as he protested the rights of the working man on one side of the Atlantic while trampling them on the other.